Camden Mothership ...the Court of Public Opinion,the Travesty of Justice,Judge did not even let us present our defence. Despite being up till 4 am the night before court and preparing one of the most robust defences we have seen in nearly 25 years of defending ourselves in court.Today Judge Lightman,committed a travesty of Justice,when he was explained we had a QC Queens Counsel who would come to defend our case in the next half hour,we requested an adjournment to fully brief legal council and if the judge would not grant an adjournment,the we would represent ourselves and present our 8 page defence form ourselves. The Judge moved straight to making a judgement and gave a possession order without even allowing us to prevent our defence. Even the 2 security guards from the court were heard to say they thought it was disgusting. Despite protests during the judges summary,the judge would not hear our defence. We spent the afternoon running round the High courts of INJustice to get an appeal that was denied. THE CLAIMANT DOES NOT HAVE AN IMMEDIATE RIGHT TO POSSESSION OF THE LAND CLAIMED. 1. The Claim for possession of 156 West End Lane includes land which is leased to Travis Perkins. The Claimant is not entitled to an order for possession for this land. 2. I note that the Land Registry title exhibited includes a caution regarding a pending action by Travis Perkins on this address. I am told by Johnny the Manager of Travis Perkins, and verily believe, that the lease was in fact renewed, but with a break clause for December 2016. The lease still exists, although it is not long enough to require registering, and so would not show on the Land Registry title. 3. The Defendants refer to passages in the current (7th) edition of Defending Possession Proceedings by Jan Luba QC, HH Judge Nic Madge, John Gallagher, and Derek McConnell at pages 496-497, indicating that landowners are not entitled to orders for possession in proceedings against trespassers unless they can show that they have an immediate right to possession, which will not be the case if there is an undetermined tenancy or licence. 5. The Land Registry plan is not clear enough to differentiate the land claimed from any land that other people are occupying through tenancies or leases. 5.1 Tenancy of Travis Perkins (TP) has not been ended, there is a break clause in Dec 2016 ,but the map appears very unclear as to which areas are to be possessed /evicted, TP shop, warehouse and yard are included in the map, as well as Wickes shop. 5.2 There is no clearly written out request as to which areas/plots of red, yellow, green, blue or other areas ,that the council is seeking possession order of. 6 THE OCCUPIERS HAVE A LICENCE TO REMAIN IN THE PROPERTY AND ARE NOT TRESPASSERS. 6.1 The occupiers of the property have been in negotiation with a number of individuals at the council and these were generally positive. These included emails and conversation with Martin Olomofe, Head of property, emails from Theo Blackwell (finance councillor) saying as a matter of goodwill he would look at Camden’s property portfolio for us, and phone conversation with Jillian Blomfield, from Mike Cooke (Camden Chief executive) office, who asked us what it was we wanted. E-mails in evidence bundle presented. 7. We replied with an email stating that we wanted to be here to serve Christmas dinner to the local community, homeless and elderly/people alone at Christmas, for a meeting as soon as possible and to discuss future use of this building for community use. 8. Our understanding was that we were in negotiation with the Claimant and that these continued. I submit that at least while negotiations were ongoing we had an implied licence to remain. 9. The said licence has not been determined with due notice prior to the commencement of these proceedings. The commencement of these proceedings is not itself an effective determination of the licence. On the latter point, the Defendants refer to GLC-vs- Jenkins  1 All ER 354 (CA). In the absence of any lawful determination of the licence, this claim is not within the scope of CPR 55.1(b) and should be dismissed. 9.1 We were given the keys by someone in the Camden housing dept who said they were very unhappy that the place had been left empty for three years in a housing crisis. We regard this as permission and licence to occupy from a member of Camden Councils Housing Team. THE OCCUPATION IS A PROTEST FOR COMMUNITY SPACES, TO CAMPAIGN TO GET COUNCIL EMPTY BUILDINGS ACROSS THE UK USED FOR COMMUNITY PROJECTS AND HOUSING AND AGAINST UNNECESSARY HOMELESSNESS AND THE LACK OF FACILITIES FOR THE HOMELESS IN THE BOROUGH OVER THE WINTER PERIOD. 10.1 This is a housing protest by housing activists, in an empty housing office in a housing crisis for a temporary time till Christmas dinner for the elderly and homeless. We have offered to end our temporary occupation in the next 14/28 days or jan 3rd to jan 14th 2016 has been offered in our numerous emails to Camden Council. 10.2 We believe that the manner and form of this occupation is reasonable and proportionate, utilising a housing office left empty for 3 years by a local authority that has repeatedly, for over 20 years and more, left many buildings empty while people freeze on the streets. 10.3 The protest should temporarily be upheld to help raise awareness in the media and with the public around Christmas of the unnecessary suffering caused by homelessness due to the inefficient management of resources, when we have around 1.5 million empty buildings in the UK. We have been given licence agreements and been running community centres for over 20 years. We can provide references, including from JW3 the Jewish Community Centre for London on Finchley rd, where we occupied and were granted a care taking licence. 10.4 This is part of a national UK campaign to get empty council properties back into use, housing people and creating space for community projects. We will be able to leave the building after a short period of time. This is not an unreasonable request. Ref Article in evidence bundle of Manchester council now opening a number of (NOV 2015) buildings to house the homeless over winter. 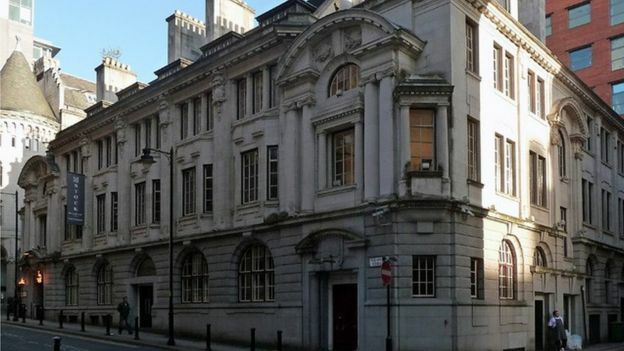 Cardiff, Poole, Dorset, Bedford,Brighton and Sheffield have petitions to open council empty buildings for public use. 10.4.1) The Claimant has not made a lawful decision to seek possession and can demonstrate to the court that it is prima facie entitled to an order for possession, it is averred that the court should refuse that remedy because to grant it would cause a disproportionate interference with their rights under ECHR Articles 10 and/or 11. 10.4.2) It is averred that the decision making power of the Claimant is constrained by the common law and/or provisions of the Human Rights Act 1998 and must be exercised compatibly with common law and/or Convention rights (inter alia) in Article 10 and 11 of the ECHR to free speech and association. 10.4.3) The Defendant avers the Claimant has attributed insufficient weight to Article 11 in making a decision to seek possession at this point rather than agree a limited period in which to use the space for community benefit. b. Offered to discuss matters and agree a timetable for departure. c. Proposed mediation. The courts have pointed out that no dispute was too intractable for mediation - see PGF II SA v OMFS Co 1 Ltd  EWCA Civ 1288.
d. Sough to avoid court costs through sensible dialogue and agreement. 10.4.4) The Defendant avers that his use of the site is reasonable and a legitimate protest site within Articles 10 and 11 ECHR. The use is temporary and intended to highlight the failure of the council to use the building for the benefit of the community at a time of austerity and cuts. The Defendant avers that the public has a right to protest about the failure of Camden Council to use its housing stock and property effectively and for the community’s benefit. 10.4.5) The Defendant avers that the occupation does not unreasonably interfere with the rights of the public or council to use the site, nor does it affect the reasonable comfort or convenience of the public. 10.5.6) In fact we have massive support from the local community as can be witnessed by the letters,petitions,comments on articles in the press and support inside and outside the courtroom. This is not so much about the council obtaining an eviction, but more about the council attempting to muzzle, stop and reduce, a protest to their plans. This is an organised protest in conjunction with the community with logistical support,consent. 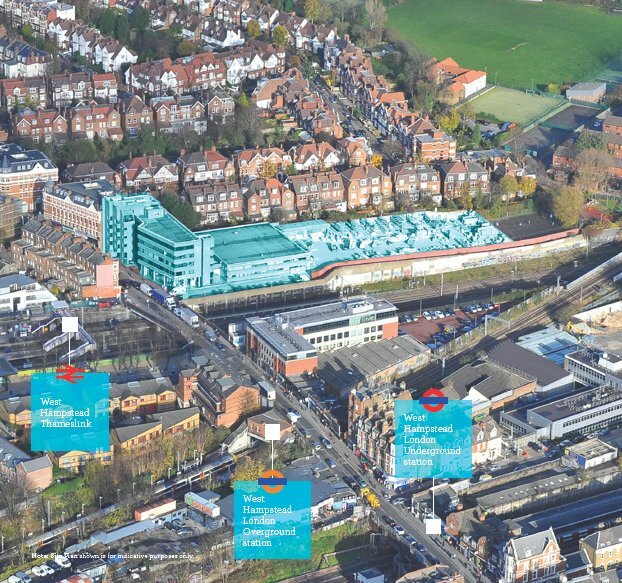 It is planned and welcomed by many aspects of the West Hampstead community. This is not just between us and Camden, but residents and local community, being part of the matrix of this dispute. They may wish to involve themselves or intervene in these proceedings on the next occasion. We are aware that there may be a judicial review against Camden on this. Social report, the council has a duty of care to 20 people including the elderly (a 68 year old), the vulnerable, children and a pregnant woman, who are resident. They have not made any attempt to assess our housing needs or conduct a social report, which we are led to believe by the Community Law Partnership is their statutory duty. Reference the Crowborough Ruling 1995? Apologies to the court we need time to find the exact name of the ruling and precedent. 12.1 We have repeatedly offered in our emails and phone conversations with Camden Council, to discuss leaving in 14-28 days ( or Jan 3rd/14th after the Christmas period) and repeatedly requested mediation. We have asked for a meanwhile lease to a possible legal entity which we are able to set up. We have also linked the council to two groups that could sign a meanwhile lease, such as Interim spaces or Respace projects Ltd, so as to save Camden Council courts time and costs as well as saving the court precious time and resources. 12.2 However Camden Council, as can be seen from our e-mails and a number of e-mails from solicitors, have refused to enter into mediation. Mediation which would save valuable court time and costs. We also offered to hand over the keys after a designated time of stay. We merely want to cook a Christmas dinner for the local community, the homeless and elderly people who will be alone over the coming christmas holiday. We will use our time in the building to raise awareness in the media and with the public of the urgent need to use empty council properties to house people over the bitterly cold winter months. We do not wish to stand in the way of the councils development, but would like to discuss interim use of the building as a self funded community centre, which the council said they were interested in discussing. A meanwhile lease that Camden said they were considering and thought was a wonderful idea until they learnt about our occupation. 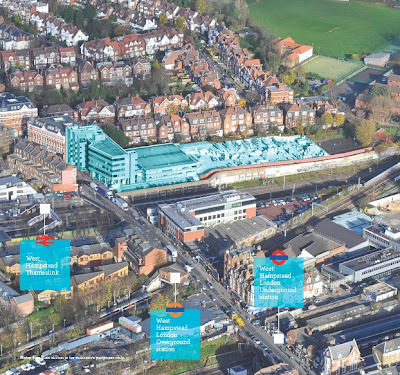 However evidence has come to light and is presented in a number of requests by the neighbourhood development forum of Fortune Green and West Hampstead as well as other community groups to use the building for community or office use, these formal quests by upstanding members of the community have in their own words been rejected and stonewalled. Therefore our occupation and protest is one of the few ways of highlighting in the media the issues regarding the intelligent use of resources and infrastructure that the council are supposed to be custodians and stewards of on behalf of the people they represent. We wish to highlight with our occupation and protest a national campaign to open all council buildings for the benefit of the communities they represent. We raise awareness of the neglect, negligence and incompetence of government and councils by highlighting their duty of care to the 100,000 children homeless this Christmas! We also aim to raise awareness in the media of the unjust and unfair criminalising of our rights and ancient rights to shelter or squat in some of the 1.5million empty buildings in the UK. The UK government has enacted a law to criminalise squatting in residential buildings despite 95% of responses to its 'consultation' opposing any further legislation. Tonight: practical squatting night - come and meet people, find crew, share/find info and empties - from 7 till 8pm at 56a crampton st se17 3ae. URGENT ACTION ASAP Operation SMS Social Media Storm SAVE the Camden Mothership. 3) Share this post to all your Facebook groups and timelines. I write concerning the Camden Housing Advice and Social Services building at 156 West End Lane, NW6 1SD. After being left empty for 3 years, the building has been occupied by a collective of artists, community and housing campaigners, called Camden Mothership. They request a meanwhile lease, to a legal entity, and do not wish to stand in the way of the redevelopment, but merely request the space be used in the interim year before it is used. This will save council/taxpayers money of nearly £5,000 security and rates (cost) per week. Surely, with common sense discussion and dialogue, through a meeting and/or mediation, an agreement can be reached that would benefit both the council and the residents it represents. This project, offering many activities for local residents and space to community groups and organisations, has had great public response. Furthermore, there has been much in the media, demonstrating the demand and need for such a local community space and facility. As a Londoner/Camden resident/ taxpayer, I strongly support Camden Mothership’s mission to set up a community centre in the interim year before development. I request, therefore, that the council does not waste our money on pointless court proceedings, but formalize them with a meanwhile lease. Empty council buildings in Manchester are to be used as overnight shelters for the city's rough sleepers, the council said. The former Hulme Library building and the former Beech Mount Children's Home in Harpurhey are the first to be opened up from next month. Homeless organisations will be able to refer people to the temporary accommodation. The council is also assessing other empty buildings across the city. It is part of an ongoing campaign to improve services for homeless people and increase the amount of bed spaces over the winter, the council said. It said the move would result in an extra 165 bed spaces. Last month two former Manchester United players allowed a group of about 30 homeless people to stay in the former Stock Exchange building. Gary Neville and Ryan Giggs are renovating the building into a luxury hotel. Three buildings in other areas of Manchester, which had previously operated as shared houses, will also provide temporary accommodation, the council confirmed. Councillor Paul Andrews, executive member for adult health and well being, said the announcement came after months of planning. He added: "While providing shelter and a roof over their heads is obviously a good start, what's really important is working with charities, faith groups and our own homelessness services to make sure the right help and support is available to rough sleepers so we can help them make the first steps towards getting off the streets for good." Positive Frequency - Synchronicity, Saturday 21 November, 10pm-7am. Techno/House. Infolines: 07453525538 / 07592313723. Spread the love. Pass it on :-) Om Shanti! Squatters occupying the council’s former offices in West Hampstead say they are willing to discuss handing back the keys - but would like use of the building to provide Christmas dinner for homeless and elderly people. The occupiers, named as “The Camden Mothership”, moved into the five-storey building in West End Lane on Saturday, and have been attempting to negotiate with the council since then. Their latest email, seen by the Ham&High, asks the council not to waste money on “further unnecessary action or legal proceedings” after the Town Hall took the first steps to regain possession of the property. The email says they are willing to discuss giving the keys back to the council, as requested, but they would like a guarantee that the building can be utilised by the community for “meanwhile use” while it remains empty. The group are attempting to establish a co-operative or non-profit company over the next week or so, to enable them to formally negotiate with the council. Cllr Theo Blackwell, head of finance for Camden, said he cannot have discussions with the group while they are squatting. The group has a solicitor representing them and those advocating on their behalf include Piers Corbyn, brother of Labour leader, Jeremy, who has been involved with housing and squatters’ rights since the 1970s. They also have an accountant from the London School of Economics who is helping them with a cost-benefit analysis, as they claim they can save the council as substantial amount of money in security costs if they are given leave to remain. The group is now using the printers and computers abandoned by the council when they moved out in order to communicate with the powers-that-be at Town Hall. Last week, I wrote about Camden’s plan to dispose of 156 West End Lane, commonly known as the Travis Perkins building. Credit to Camden for getting back to me promptly with the exact cost of keeping the building open up to disposal. Given that we’re looking at around three years before this building is sold, that’s somewhere in the region of £750,000 in total. Naturally, the building can’t be left to fall into disrepair and it’s not a huge sum of money in the grand scheme of things but, at a time when budgets are squeaky tight, couldn’t some other use be made of the space (for a charge) during that time, allowing Camden to recoup some of its cost? PIERS Corbyn – brother of Labour Party leader Jeremy – has urged the Town Hall not to evict a group of squatters occupying a disused council office block in West Hampstead. The group at 156 West End Lane received a notice to quit letter from the council yesterday (Wednesday) but Mr Corbyn, who is one of their negotiators, has said the council would be “stupid” to evict them. After lying empty for more than two years, the rooms inside the building – some beginning to rot and filled with abandoned desks and telephones – are now being used as bedrooms, communal spaces and even a cycle repair shop. As revealed on the New Journal’s website on Friday, the group, called Camden Mothership, hope to set up an arts centre, offering activities from self-defence classes to homeopathic healing. As well as a “non-statutory” housing advice service, the group plans to use the building to hold seminars and lectures. An “imaginarium” is being built on the third floor and will contain a multimedia centre and recording studio. The squatters have reached out to local politicians with proposals to set up a co-operative and apply for a lease to stay in the building while its future redevelopment plans are resolved. But finance chief Councillor Theo Blackwell has turned down an invitation to meet the occupants, calling the group “freeloaders” and said that evicting them would cost taxpayers money. He said the building is “on the cusp of being sold” and will be redeveloped with 50 per cent “affordable” homes and flexible employment space subject to a decision by the planning committee. Cllr Blackwell said that with the group occupying the building illegally the chances of working with them are “zilch”. But James Earl, chairman of the West Hampstead Neighbourhood Development Forum, said the group had repeatedly suggested community uses for 156 West End Lane but had been “stonewalled” by the Town Hall. The Save West Hampstead “Stop the Blocks” Campaign, a group opposing the council’s proposals for the regeneration of the site, have backed the squatters and said leaving the building empty is “hideously wasteful”. The Metropolitan Police has made an "unreserved apology" to seven women deceived into relationships with undercover officers. The apology and an agreement to pay compensation covers sexual relationships conducted by five officers from two undercover units. They took place over 25 years until the units were disbanded in 2008 and 2011. One of the officers fathered children. Oh my gosh! Capture the flag, TODAY!! 20nov from 7pm where leather lane meets hatton wall. Squatters have taken over former council offices at the centre of a residents’ protest led by Downton Abbey star Jim Carter. 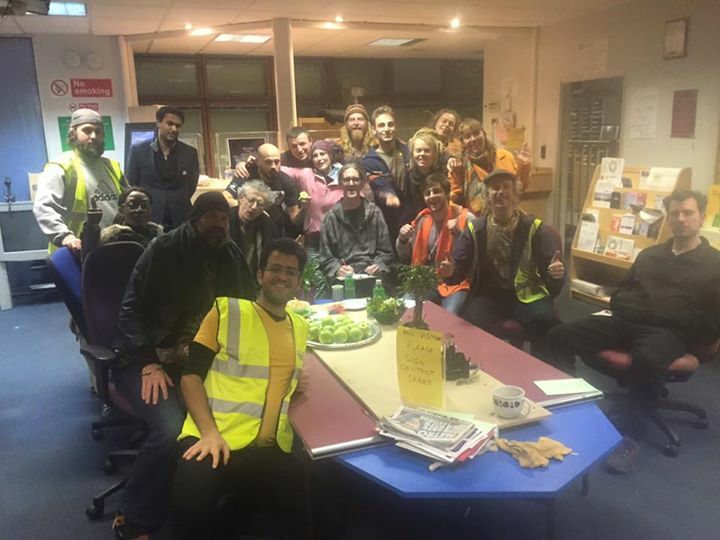 Activists moved into Camden council’s derelict housing and social services offices opposite West Hampstead train station last Saturday. 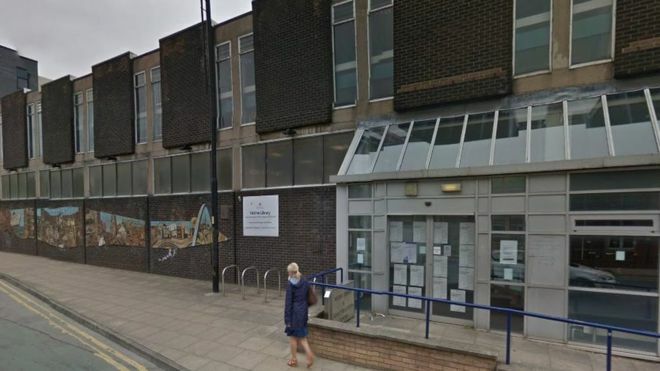 They want to turn the five-storey building, which has been empty for three years, into “London’s biggest community centre”. Carter, who plays butler Carson in the ITV drama, is leading the Save West Hampstead Stop the Blocks! campaign against A2 Dominion’s scheme for 163 homes and wants to return the 25,000 sq ft building to community use. The squatters’ group, Camden Mothership, has approached council bosses to apply for a lease to stay in the building. They are using computers, printers, photocopiers and phones left by the council to prepare the campaign. A second-floor office has been turned into a community meeting room and there are plans for a recording studio, multimedia centre and internet cafe.